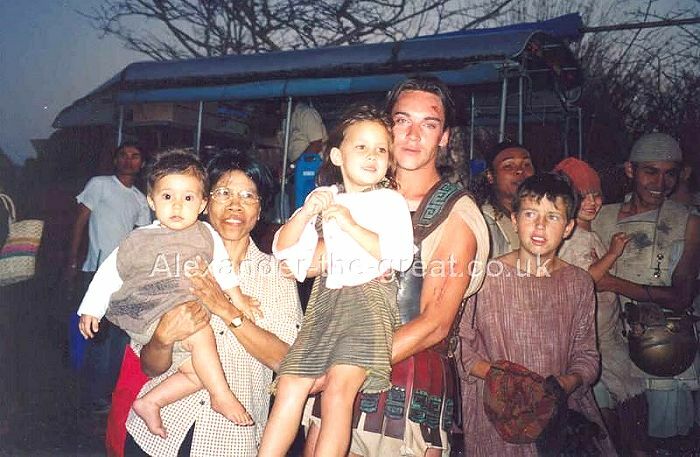 This was taken on the last day of shooting Alexander, after the final shot when leaving the set. Apparently the lady with the baby thought she was standing next to Oliver Stone!! I have some pictures of him and he always look like he's high. Must be his eyes.